Tropical forests are exceptionally rich in both carbon and biodiversity, but the study recently published in the journal Scientific Reports indicates that, within the tropics, tree diversity and forest carbon do not necessarily correlate, and that there is no detectable relationship between the two factors across a region, a scale relevant for conservation planning and the establishment of protected areas. For instance, in Central Africa, some areas that are dominated by one or a few tree species are high in carbon density, whereas some forests with many more tree species have a lower carbon density. The study titled "Diversity and carbon storage across the tropical forest biome" can be accessed here. "The findings of the study show that there is not always a win-win situation whereby, when you conserve high-carbon forest stocks, you also automatically conserve high tree diversity," said Miguel Leal, WCS scientist and a co-author on the study. "Forest carbon density maps are increasingly easy to create from remote-sensing data. If the high carbon density and high species diversity were invariably in the same places, we could easily pinpoint the areas important for conservation. That would make our work more efficient and save scarce resources, because biodiversity assessments are expensive and time consuming,"
Leal added: "As a conservation NGO, WCS wants to ensure that biodiversity is given due consideration in efforts to mitigate climate change. This study demonstrates that it is not safe to assume that, by simply protecting high-carbon forests, we are protecting all the areas with high levels of biodiversity." Most of the countries with large tracts of tropical forests are pursuing the REDD+ (Reduced Emissions from Deforestation and forest Degradation) program under the UNFCCC to safeguard areas with large carbon stocks. Previous studies found that, at a local scale, higher carbon also implied higher tree species richness. However, this larger, more comprehensive study shows that this is not the case over most tropical areas. The scientists compared data from 360 plots in old-growth rainforests in Latin America, Africa, and Asia to examine the relationship between tropical tree diversity and the amount of carbon stocks contained above ground in those same plots. 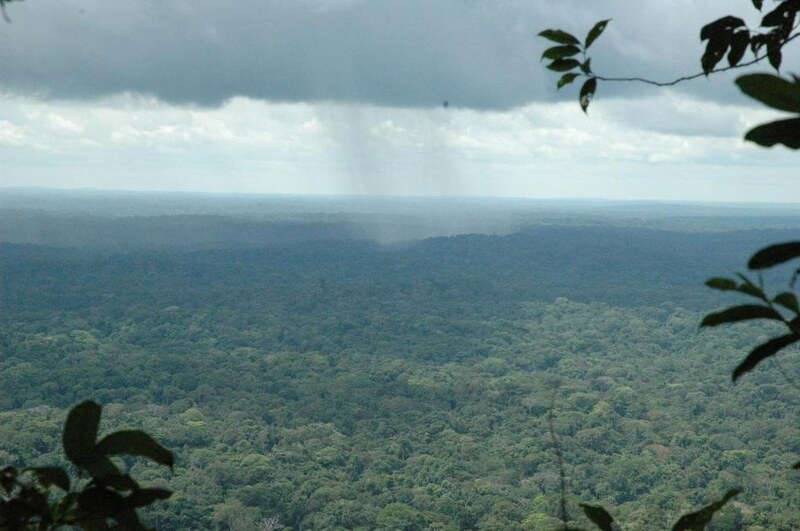 The results of the study revealed a weak relationship between tree diversity and above ground carbon stocks in Asia, and no statistical connection between the two factors in Africa and Latin America. The team did find a weak positive relationship between tree diversity and carbon stocks at scales much smaller than a hectare. The research team asserted that the absence of a clear relationship between tree diversity and carbon storage meant that using carbon-centered metrics alone to guide conservation planning may be missing many ecosystems with high biodiversity. For the future, the authors recommend that effective tropical forest conservation requires that an explicit distinction be made between tree diversity and carbon stocks, and that both be considered in parallel. The authors added that only in places where the relationship between high tree diversity and carbon levels has been established can one be used as an indicator for the other. Specifically, the plots examined in Southeast Asia were found to be both diverse in tree species and carbon biomass, a finding that underlines the need to protect such forests.